Hang ten dude, it's tie dye time again. 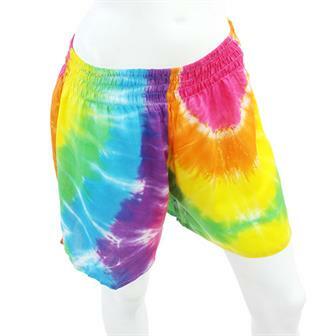 Ridiculously comfortable and available in either righteous rainbow or rad rasta colours. Bright and funky yet totally light and comfy, these stylish statements are worth shouting about. Available in different eye popping designs with either lacework trimming or mini pom poms, these shorts are a versatile outfit option for both dressed down days or on the town nights! 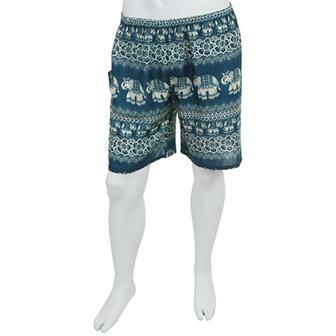 These Thai elephant shorts are fantastic for throwing on hot, sunny days. Made from silky feeling rayon, they are wonderfully lightweight and available in a variety of different colours and patterns. 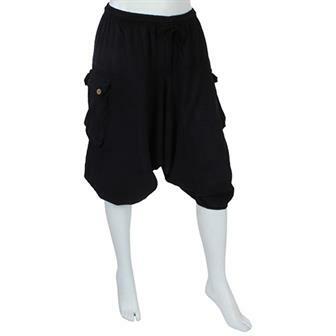 These supremely comfortable ladies shorts are made from silky feeling rayon and are very lightweight making them perfect for simmering summer days and tropical holidays! Bold shorts made from lightweight and silken feeling rayon, with an attractive batik pattern and elasticated waist for comfort. 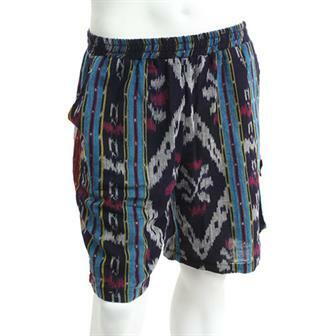 Handmade in Thailand using our beautiful Thai Weave material, these cotton shorts are a sure fire hit for festivals and easy going beach wear. Made in our fantastic Tropical material, these shorts are ideal for summery days in the sun. Each pair has a comfortable elasticated waist and a playful pom pom or dainty lace trim. 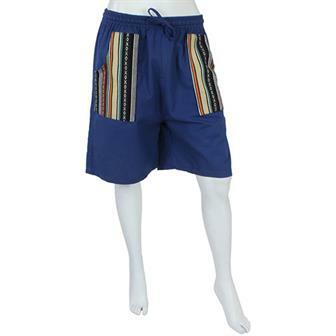 Made in Thailand using our Naga heavy cotton material, these shorts come in an amazing array of patterns and colours and feature a drawstring elastic waist for extra comfort. Made in an array of exciting patterns and colours, these twin pocketed shorts are perfect for sunny festivals or holidays at the beach. Butterfly patterned rayon material, with a large elasticated waist band. 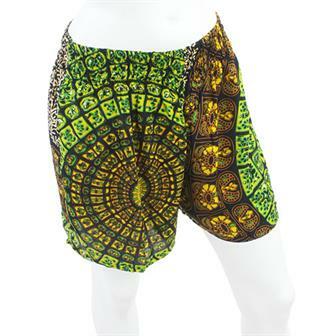 Bold and colourful cotton shorts printed with a striking patterned design, these comfy shorts have an elasticated waist. 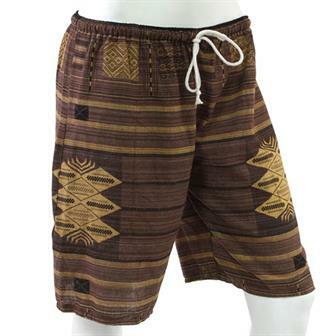 Relaxed and comfy, these shorts are made from the beautiful and traditional ikat fabric. 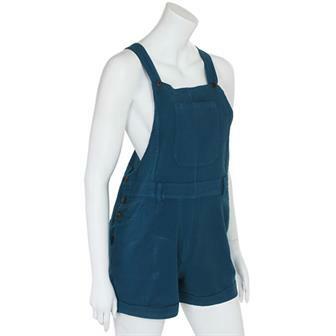 Each pair have an elasticated waist and pockets. 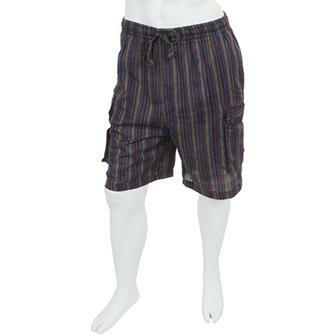 Fine Cotton shorts with large pockets made from heavily patterned woven Gheri Material, these groovy shorts are supremely comfortable with their elasticated waist and drawstring ties, ideal for airing the legs in warmed weather. Made from the same classic lightweight material as our Nepalese stripy shirts, these fantastic shorts are perfect for the sweltering summer months or for a holiday in the sun! 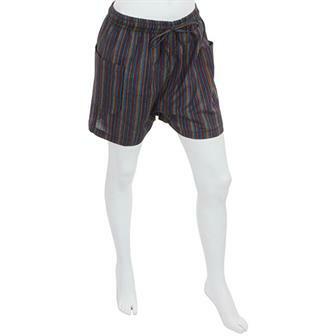 These super comfortable cotton shorts are made in our ever popular stripy Nepalese fabric. Cut in a slightly longer, board short style they are ideal for keeping chill on sizzling hot summer days.